Great Read! This story here had me from jump. It is well written and you feel the characters emotions, the surroundings, the sounds. 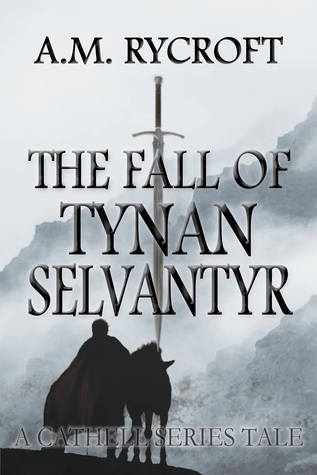 The author pulls you into the story and you get to see, feel, and taste what it's like to be Tynan Selvantyr. This is a quick read- a part of a longer series and it will have your blood pumping the entire time. If you haven't read it already, I highly recommend. Fun back story for the Cathell books. A.M. Rycroft - A.M. Rycroft is the award-winning author of two sword and sorcery dark fantasy series and several horror short stories.Born and raised in the quiet suburbs of Pittsburgh, Pa, she took an early interest in horror and fantasy tales as an escape from the ordinary. She wrote her first horror short when she was just nine years old, to the horror of her teachers and her parents. No matter how many times her teachers told her "serious" writers don't write genre fiction, she just kept at it.Rycroft was accepted as a member of the Horror Writers Association in early 2017 and won back-to-back awards for the third book in her dark fantasy Cathell series, The Joy Thief.